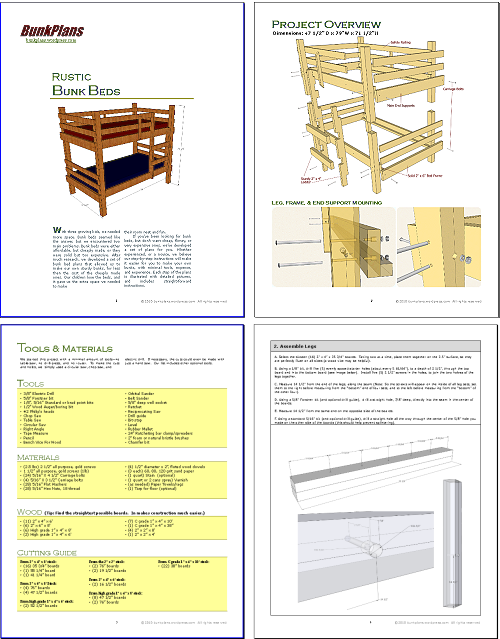 Rustic Bunk Bed Plans is a fully illustrated, step-by-step guide to building your own sturdy, rustic bunk beds. 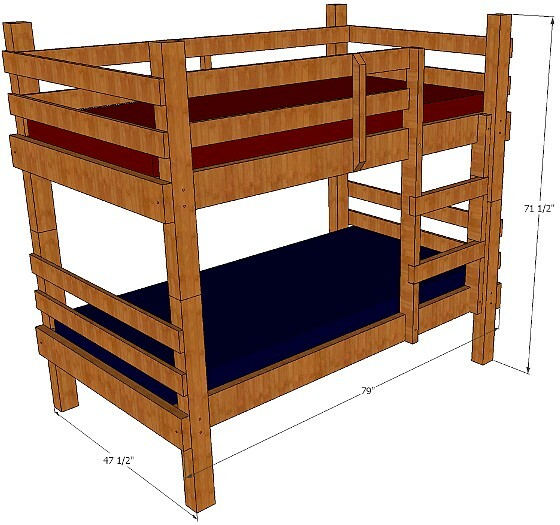 These plans are a 26 page, PDF format, illustrated, step-by-step guide, for building sturdy, rustic, twin sized bunk beds (71 1/2″H, 47 1/2″W, 79″ Long) on a minimal budget, and with minimal tools and experience necessary. Plans include detailed tools list requirements, detailed wood stock and materials requirements, and dozens of detailed, professional grade illustrations to make things simple. *Please note, the plans are in digital format. E-junkie will send you an email, with a download link, which you can then print. You will not be sent a physical, paper copy of the plans.